Deciduous perennial. Soft fleshy leaves on long stems bear showy tube-shaped flowers. Clumps spread in ground from tubers. 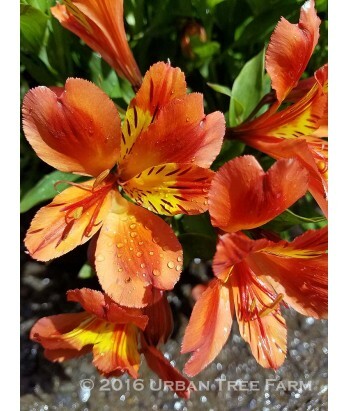 Large orange and yellow colored flowers appear in late spring to early summer and can re-bloom if flowers are picked. Deer resistant. Moderate water needs in well-drained soil once established. Hardy to 15°F.